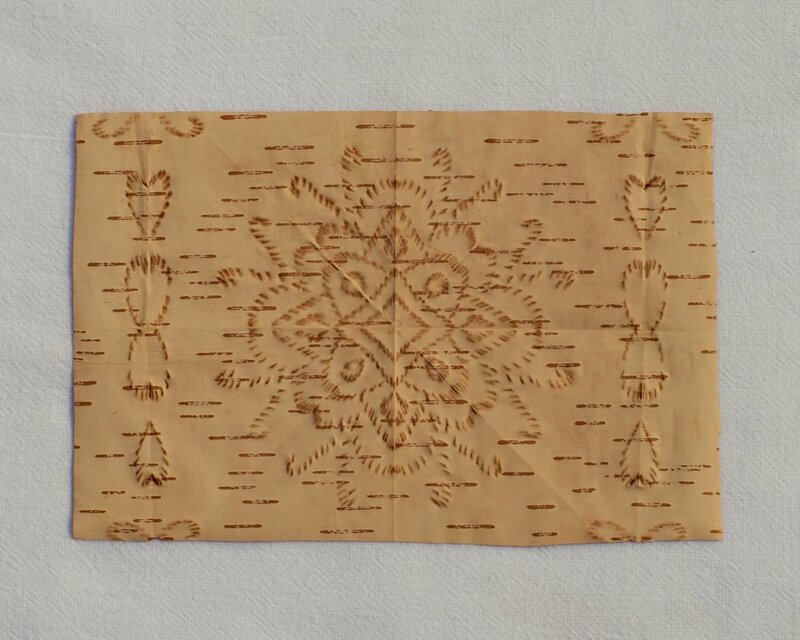 In addition to being a Fancy Shaw and Jingle Dress dancer, Denise practices the ancient art of Birch Bark Biting. 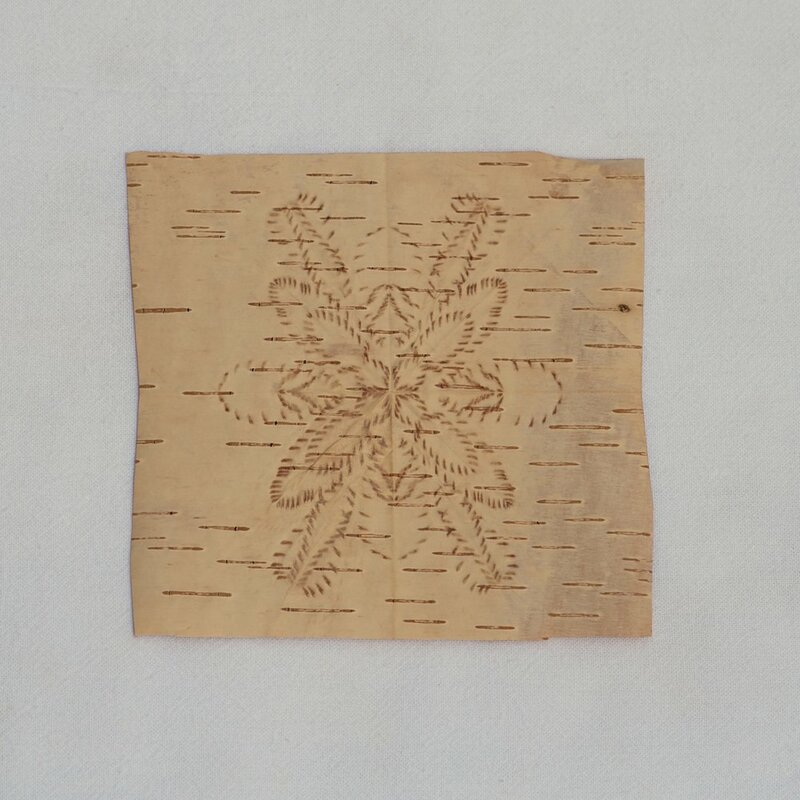 She describes the process, "I go out in the spring of the year and gather birch bark from trees in a manner that does no harm to the tree. A thank you ceremony is offered to each tree I gather from. I then peel the bark in thin layers, fold in various manners and use my eye tooth to bite designs into the bark. I close my eyes and 'see' with my eye teeth the design I want to create." Currently she is the only person to revive this beautiful art from on the Turtle Mountain Reservation. Her specialty is turtles, flowers, dragonflies and dancers holding hands. Denise hopes to find someone she can be a mentor to, someone who can continue the legacy of this unique tribal art.